If you're looking for the best home printer, then you've come to the right place. Having a decent home printer means you can easily print off documents, photos, homework and more without leaving the house. 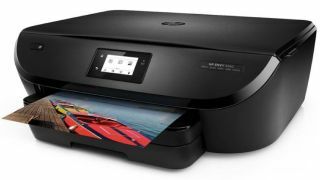 The best home printers can rival the print quality, speed and features of almost any printer you'd find in an office or classroom, and getting the best one for your needs can prove to be an excellent investment. From printing out holiday snaps, to forms and documents and even your kid's homework, the best home printer can help you with all those tasks offers you some top choices. It's just as important of a purchase as finding the best laptop. When you're looking for the best home printer for your needs there are a number of things you need to take into account. First of all, there's size. Unlike business printers, you don't want a big, bulky, printer taking up huge amounts of room. For example, there are all-in-one printers that are geared towards the home, and they are a good choice if you need a photo copier and a scanner as well as a printer in your house, without taking up loads of space. Here you'll find the very best home printers, no matter what size of household and family demands you have. In this guide you'll find one that's perfect for you, and our price comparison tool makes sure you get the best deals on the printer of your choice as well. It’s rather large, but if you can fit this multifunction device in your home office, your printing, scanning and faxing needs will be well taken care of. Between its two paper trays, the MB2750 can accommodate a whole 500-sheet ream of A4 paper and churn out duplex pages at a remarkable rate, for an inkjet. Mono and colour documents look consistently clean and crisp. The 50-sheet automatic document feed is great for large photocopying jobs and we found it fairly easy to access the many features via the logical touchscreen interface. Assuming you don’t need a fax facility, this compact 3-in-1 strikes the perfect balance between performance and functionality on a budget. It feels well made and though it prints quite slowly, our sample turned out crisp mono pages and vivid colour documents with reassuring consistency. The interface is intuitive and for mobile printing the Brother iOS/Android app is particularly helpful. This stout laser printer takes up relatively little space, given its high capacity for paper and toner. It means you can keep printing quickly and efficiently and with lower running costs than an equivalent inkjet. The display is rather fiddly, but in all other respects, this colour printer is easy to use and can be relied upon for immaculate mono and colour documents time after time. Canon’s compact 4-in-one looks good enough to sit astride your desk at home, while offering all of the features that a small business might need. In addition, the five-ink system gives great photo quality prints and the large touchscreen makes it especially easy to use. The print speed is perhaps a little slow, even for an inkjet, but it is well featured with both Bluetooth and Wi-fi connectivity and there’s a handy SD-Card slot at the front. If you need to churn out pages of text from your home office, then a mono laser printer is the practical and economic answer. This relatively small and affordable model from Ricoh requires little room and it can be relied on to deliver consistently polished monochrome pages while going easy on the consumables. It’s a solid low-profile machine with simple top-mounted controls for easy operation. Samsung’s smart-looking laser printer is equipped with both Wi-Fi and NFC for easy mobile printing and is supported by a sophisticated mobile app. It’s an easy size to accommodate at home, but you can fit a useful amount of paper and toner inside, making it good for a monthly cycle of 40,000 pages. It won’t automatically print both sides of the page, but it does have a manual duplex mode. When we tested it, this was the smallest laser printer around and likely to remain so. Being as small and inexpensive as an inkjet, yet with all the speed, economy and consistency of a laser, the LaserJet Pro M15w is in many ways the ideal home printer. It manages to hold one hundred sheets of paper and print on them at the respectable rate of 19ppm. There’s no duplex mode, sadly, and no display, but at this price it’s hard to argue. This big Brother blurs the line between home and office printer by combining the fast print speed and high capacity of a laser machine with the superior photo finish of an inkjet. We would recommend it for both applications because although it is smaller than the laser equivalent MFC-L8690CDW, the inkjet MFC-J5945DW can handle A3 paper. There’s really nothing that this fully featured 4-in-1 can’t do and it carries out all tasks satisfactorily. This humble all-in-one can scan and copy, but its real strength is in printing photos. Frustratingly, there’s no Ethernet port, nor a USB port for printing from a flash drive and it churns very slowly, but the results are surprisingly good for such an affordable inkjet. The supplied starter cartridges are rather light on ink, but if you replace them with high-capacity carts, then the running cost is competitive too. Printers aimed at the home office that can handle A3 paper are not common, but ones that can automatically print on both sides of an A3 page are downright rare. The WorkForce WF-7210DTW is one such beast and it does so quite successfully. Print quality is impressive, be that monochrome text, or a glossy photo. The long list of features includes both Wi-Fi and NFC connectivity and the two paper trays can hold 500 sheets combined.